The first few kilometres in the Rhone valley are an opportunity to warm up before the ascent to the Col de la Croix (alt. 1,778m). Featuring a difference in altitude in excess of 1,300m over a distance of 23km, this pass is one of the longest and most arduous Switzerland has to offer. 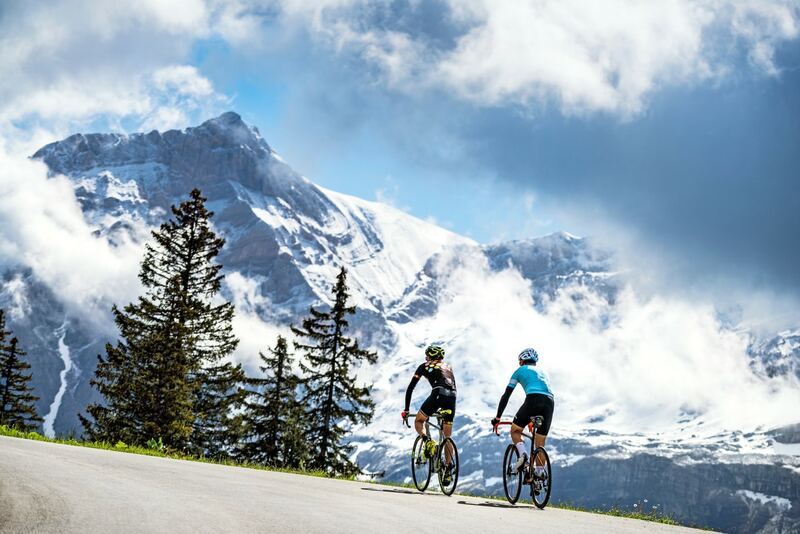 During the climb, you pass through the village of Villars-sur-Ollon, a well known stage finish of the Tour de Romandie and the Tour de Suisse, the two Swiss legs of the UCI WorldTour. 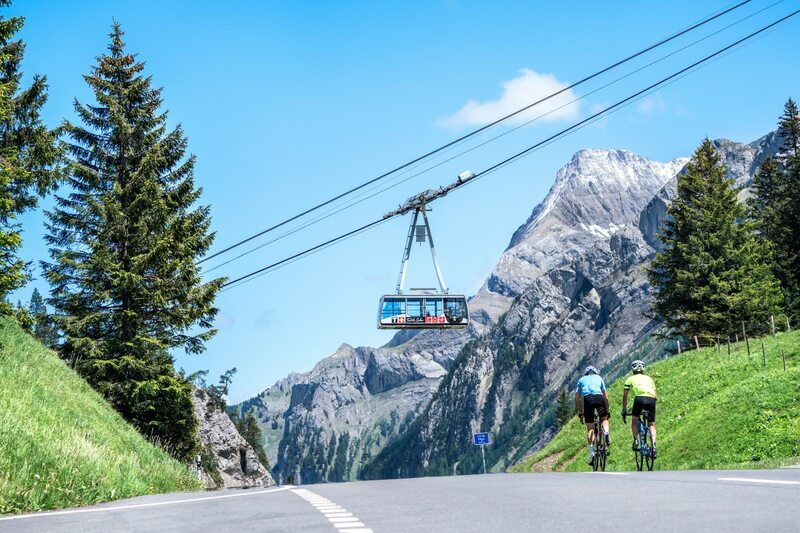 Following a descent of 8km, you reach the village of Les Diablerets and start the ascent to the Col du Pillon (alt. 1,546m). The summit marks the linguistic border with Swiss-German-speaking Switzerland, and you soon find yourself in the famous resort of Gstaad. A few kilometres further on and you re-enter French-speaking Switzerland. At Château d’Oex, head left for the Col des Mosses, featured in the 2016 Tour de France. The ascent is interspersed with level sections and passes through the village of l’Etivaz, famous for its cheese of the same name. The pass at alt. 1,445m precedes the long final descent back to Aigle. Finish with a visit to the UCI headquarters to admire their magnificent velodrome. You can easily start this tour in Villars, Les Diablerets, Gstaad or Château d’Oex. This loop is part of the "Top Road Cycling Routes" created by Alain for the Switzerland Tourism website. TIP: Stop at the dairy in l’Etivaz to taste the local speciality. The best energy-boosting foods are natural!